On a recent inspection of a property that had sustained extensive water damage from a broken pipe on the second floor, the owner called us with some concerns. He had hired another Water Restoration Company at the urging of his insurance company, and felt that the job was not being completed like it should. They did a minimal amount of work and placed an immense amount of fans and dehumidifiers in his house and then left. When he asked for a copy of the bill that they were submitting to the insurance company, they were hesitant. Finally he was able to see the bill, and realized that they hadn’t completed half of what they were billing for, and still felt that the home wasn’t completely dry like it should be. When I entered the property, I immediately saw water lines that went undiscovered, but the other company and the insurance adjuster. The home owner then hired us, and this is what we found. 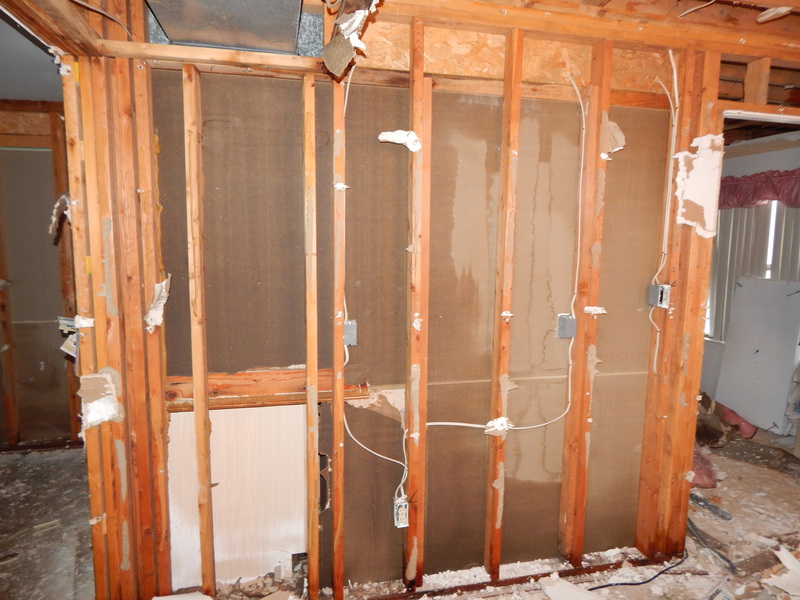 This picture shows just one of several walls and ceilings in the house that had severe water damage that wasn’t being addressed and wasn’t structurally dried or disinfected. After a few days, everything was removed, cleaned and dried. As for the other company, the home filed a complaint through his insurance company, filed another complaint with the BBB and his local Department of Consumer Affairs and is possibly seeking legal action. Remember one key piece of information, if you should ever go through a water loss, or any loss for that matter, you can hire ANY remediation contractor you want, and do not have to hire whomever your insurance adjuster says, no matter what.